The world’s fastest and oddest SUV made its world debut at the 2015 Frankfurt Auto Show. 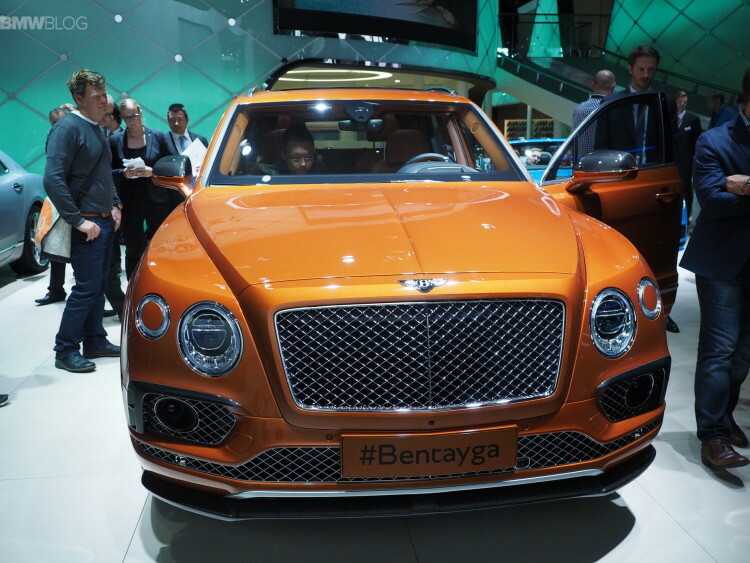 The Bentley Bentayga is the star at the Bentley booth and has drawn around it thousands of journalists who came to see also the first high-luxury SUV. The internet is rife with claims that the Bentayga has already sold out with the first unit being delivered to Queen Elizabeth II. The Crewe-based company can produce between 3000-4500 Bentaygas per year. Bentley describes its £160,200 model as “the fastest, most powerful, most luxurious and most exclusive SUV in the world”. The Bentayga uses an iteration of the VW Group’s new MLB-Evo platform for large vehicles that has already been used for Audi’s new Q7 and is coming soon in an all-new Cayenne. The Bentayga has an all-new computer-controlled air spring system whose ride height, damping, roll control, stability, hill descent and traction are all controlled by the driver from a console-mounted rotary control. There are four selectable on-road modes and four for off-road driving. 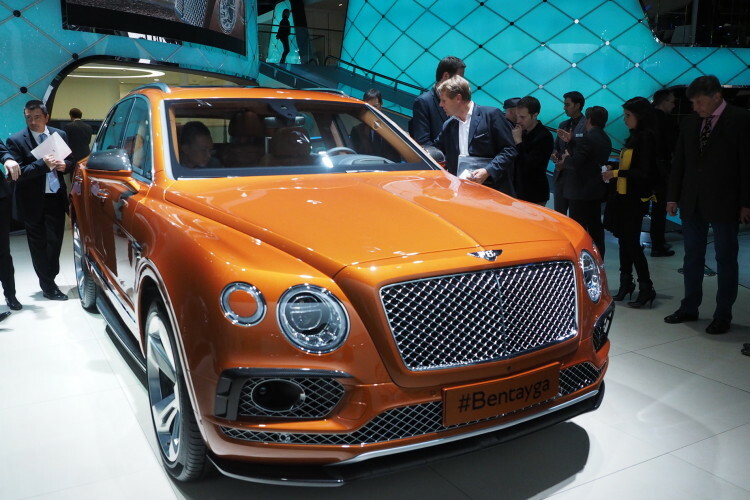 When compared to the EXP 9 F concept unveiled in 2012 at the Geneva Motor Show, the production Bentayga looks much better and more sporty. The body design is smooth and elegant, like all other Bentley model, but things like massive headlight washers surrounded by LED daytime running lights and the one-too-many mesh grilles. You can order either a two or three-person rear seat layout, and the rear seat system folds down to carry extra luggage. 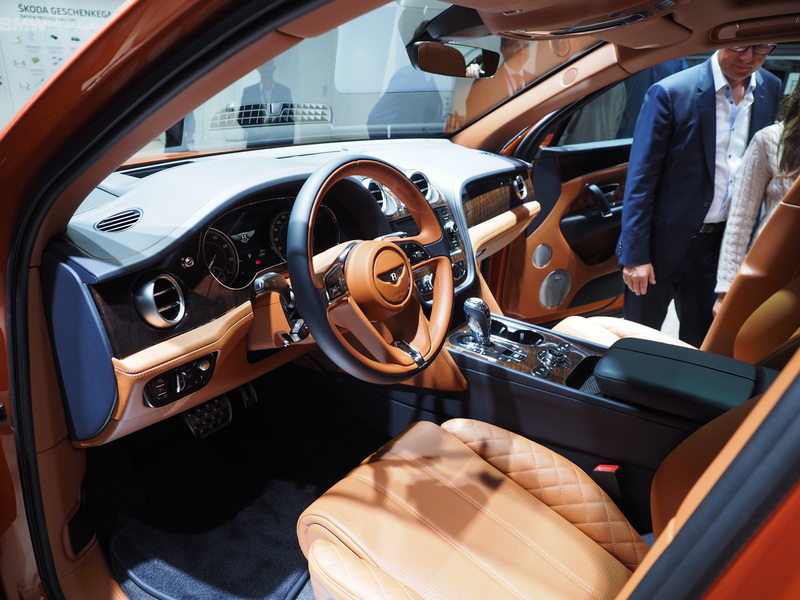 The cabin screams of high-luxury, from wood to chrome and stitched leather. The Bentayga is powered by a completely redesigned twin-turbocharged petrol W12 engine with 600 hp at 6000rpm and 663 lb-ft of torque between 1250rpm and 4500rpm. It drives through an eight-speed, paddle-shift ZF automatic to a four-wheel drive system featuring a Torsen centre differential. 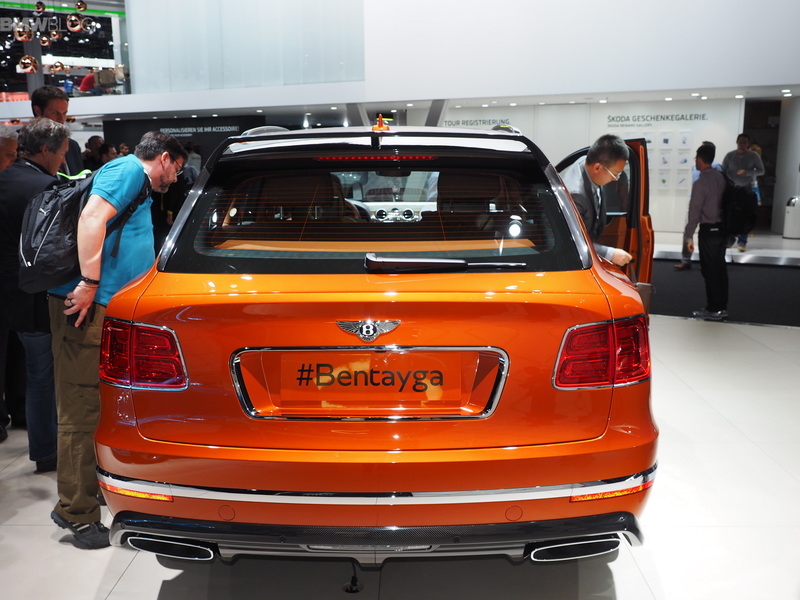 Bentley says Bentaygas will come with both diesel and plug-in hybrid powertrains. The standard car rolls on 20in wheels, but 21s and 22s are also available. Rolls Royce is expected to launch their own SUV by 2018.